Simply stated, counseling is a relationship in which a counselor helps an individual, couple, or family better understand and solve a problem in an atmosphere of trust and privacy. Evaluation occurs throughout counseling, which allows the counselor and client to make any needed changes in an effort to reach the client’s goal. Referrals to additional community resources and/or professionals will be recommended when appropriate for your circumstances. How is faith-based counseling different from other forms of counseling that a professional counselor provides? Faith-based counseling integrates the truths and teachings of the Bible with proven psychological theories, with a focus on our human nature, redemption, and grace. All other concepts or ideas are measured by the truth of Scripture. What is a “professional” counselor? A professional counselor is one who has a minimum of a graduate degree and is credentialed or licensed by a governing body following the completion of all educational requirements, supervised client hours, and examinations. What is expected of me regarding counseling? Your responsibilities include being on time for your appointment, canceling with a 24 hour notice when it is necessary to cancel or reschedule your appointment, paying for services when rendered, and being as open and honest as you can with your counselor. It also helps to be ready to focus on a specific problem or issue, therefore making the most of your therapy session. How long are the sessions, and how often will I attend? Each session is 50 minutes in length. The frequency of sessions varies according to the client’s schedule, expressed concerns, goals, and appointment availability, and is discussed during the initial appointment. The Counseling Center is located in the Marriage and Family Enrichment Center, and is open 8:00 a.m. to 5:00 p.m. Monday through Thursday, with sessions by appointment only. The initial session is $105.00, and each session thereafter is $95.00. As a ministry to our community, Western Avenue Baptist Church underwrites a portion of the cost. You are expected to pay for services when rendered. Do I have to be a member of Western Avenue Baptist Church to schedule an appointment? No. Counseling is available regardless of church membership, denomination, age, race, gender, or socioeconomic status. Call Ellen Fox at 704.873.6397x3210 and leave a message or email her at ellen@westernavenue.org, or call Glayds Lowry at 704.873.6397x3215 and leave a message or email her at gladys@westernavenue.org. You will be contacted to schedule an appointment. 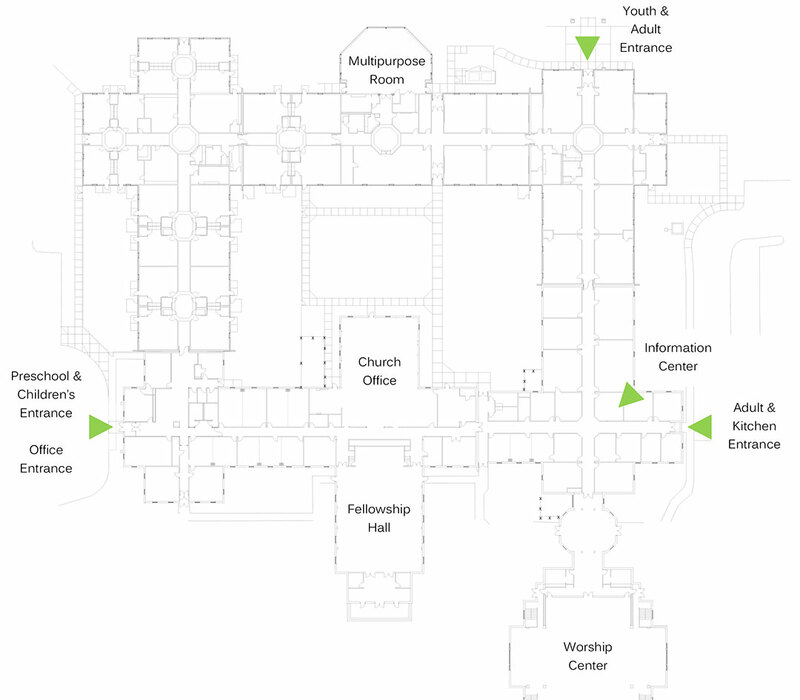 The Marriage and Family Enrichment Center is located on the back side of the church facilities. Follow the signs to the Multi-Purpose Room and the Enrichment Center will be on the right. This entrance will afford you the confidentiality that you desire. If you still have questions after reading the information on this page, please contact Ellen Fox.